The report was issued because pro-migration groups are asking judges to block Trump’s pending “public charge” regulation. The draft regulation would allow officials to enforce a long-standing, long-ignored law which says officials should deny green cards to illegal migrants or legal visitors who are a “public charge” when they ask for an “Adjustment of Status” to get green cards. The vast majority of migrant households include working adults. 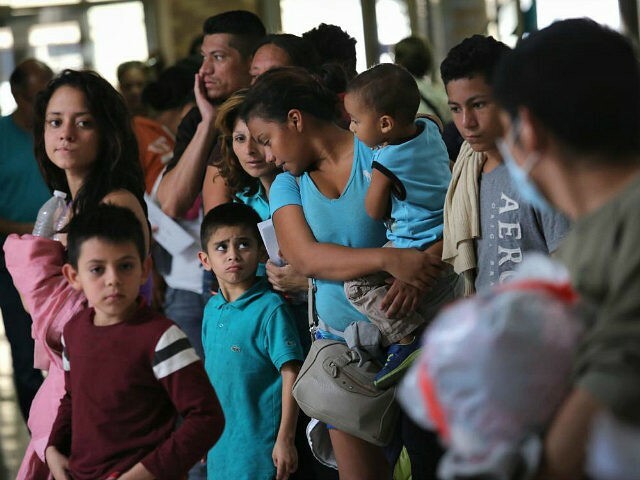 The data shows there is at least one working adult in 93 percent of the 4,684,784 million non-citizen households in the United States, the report says. Roughly half of those non-citizens are illegal aliens, with the rest being visitors, temporary workers, or green-card holders who can become citizens.